Even when we are enjoying the games though it’s hard to leave our PR hats behind, so we found ourselves entertained, intrigued and somewhat beguiled by the Guinness ad campaign which accompanied the start of the on-field action. For some considerable time now The Six Nations has been sponsored by Royal Bank of Scotland. Being the new boys on the block, therefore, there was a bit of pressure on Guinness to start their tenure off with something quite memorable. The ad was definitely memorable, but not for the reasons you may think – or indeed the reasons we have come to expect from this company who have a fierce reputation for high quality, artistic imagery whilst representing their most commonly consumed product. This time the clever team at Diageo who own the Guinness brand, ably assisted by the creators at Abbott Mead Vickers BBDO, used the slot to launch their global responsible drinking campaign. They chose to omit any pints of the black stuff itself and instead urged viewers to drink responsibly whilst enjoying the rugby, suggesting that the consumption of pints of H2O should be encouraged rather than ridiculed. The ad even showed fans enjoying (somewhat exaggeratedly) pints of what they referred to as ‘Guinness Clear’ whilst a voice over more akin to their standard product enthused about the flavour of the water. Rather than just pay lip-service to the drink-aware movement, Diageo have gone further and intend to continue to offer their new tongue-in-cheek product for sale in pubs across the UK. 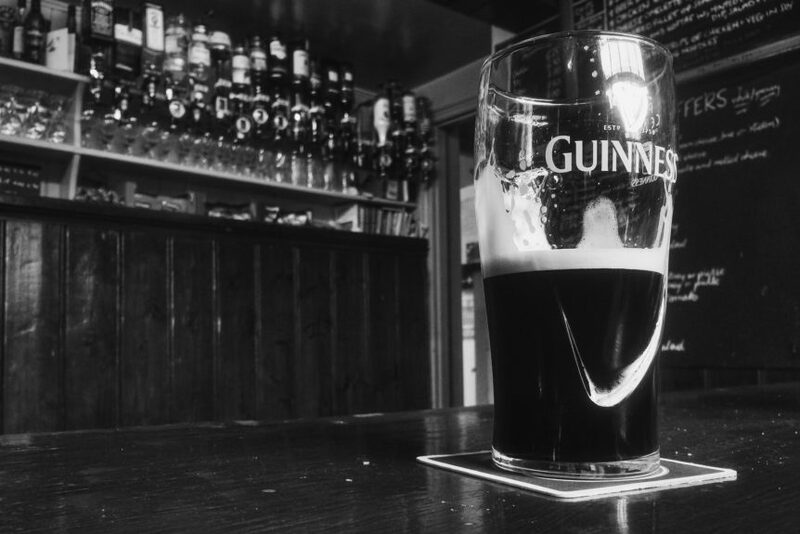 At the same time they have initiated a rebrand of water taps to Guinness Clear dispensers, a move which they hope will remove some of the stigma attached to ordering a pint of water at the bar. We love this campaign. It works on so many levels. Firstly there was an expectation that Diageo had to come up with something quirky to start off their Six Nations sponsorship with a bang – tick. Secondly, they needed to reinforce the traditional, accepted connection of enjoying a pint of Guinness whilst watching rugby – tick. Finally came the clever introduction of their specific contribution to social responsibility, advising that consumers should be alcohol aware regardless of whether they are celebrating their team’s success or drowning their sorrows. In doing this they also cleverly managed to inject a good degree of humour which we are very sure was lost on no one. Tick, tick, tick we loved it.